project for weekly meetings and one or two weekend days." Is this something I as a cadet can do on my own or do I need to do this with a SM/other cadets at my squadron or something like that. If I can do this on my own does that include anything special or do I need to provide any proof of me doing it? The activities are meant to be conducted with others. As a cadet with not many others interested in getting this and/or working on other cadet badges my question still poses; even though it is meant to be conducted with other cadets can it be done by an individual or does it have to be done with other cadets? The AEO or cyber officer has to certify that each cadet has met the required contact hours so doing said hours all by yourself (under the senior member supervision) is going to be an exercise in boredom after completing the activities by yourself. Since the badge also requires CyberPatriot participation, which requires at least 2 cadets, you'll be needing to find a partner cadet anyway. With regard to the other STEM badges, the intent is for contact time during unit AE. You sitting at home flying your flight simulator would not count. It's supposed to be part of a lesson where you're learning subject matter to be applied through practical application. It's tough to verify that when you're saying (in person or in an email), "Yeah, I did that." I can't see that you took a simulator lesson and conducted it at home on your personal computer. It's meant to be conducted in a group to learn as a team and challenge each other on concepts in a classroom workshop setting. Reading the book and passing the exam is already a requirement. We're beyond the book in the activities. I'm the type that could come up with an activity and run it by myself in an hour or two to completion. But then I don't have the chance to discuss it with others and see different views, or even challenges to theories. "But I don't understand why the control reacted that way...because this principle doesn't make sense if that's how it happened"....."Well, that's a good point. So let's try it in a different method and see if we get the same result..." This doesn't happen when you're sitting at home. We don't have an AEO assigned right now in our unit. It's a combination between myself and my Commander. We discussed this topic yesterday, as a matter of fact. There's no way we would sign off a cadet for completing the contact time if they did this on their own. I really think that CAP missed the boat on not adopting something similar to what USAF ROTC wears for Cyber. Cyber is many things but it's not a flight qual, this badge doesn't make sense in a USAF or CAP context. Why not? The AF has been trying to treat them as flight quals. Whether they should is a different discussion, but that's the lay of the land for now. You should tell the USAF that their cyber badge doesn't make sense. Demand answers! Don't they know who you are?! 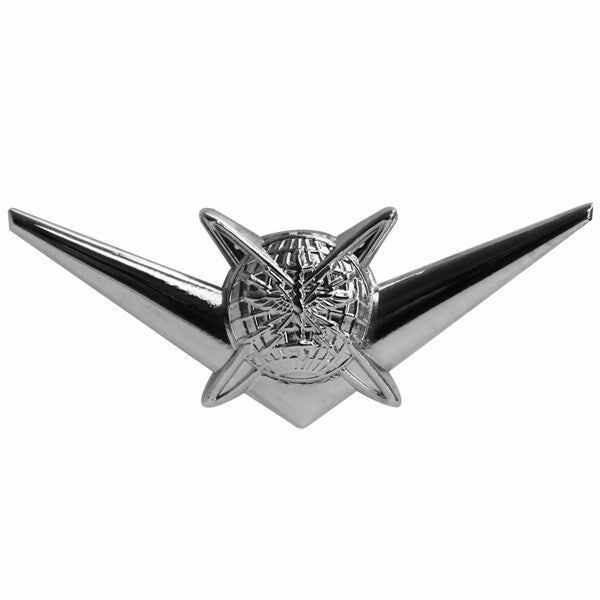 Anyway... CAP's cyber badge doesn't fall in line with that of the USAF or USAF ROTC and I really think that since we are "Team Air Force" and all, that simply changing the centerpiece on the ROTC cyber badge to a triangle prop would have been a simple and attractive badge.